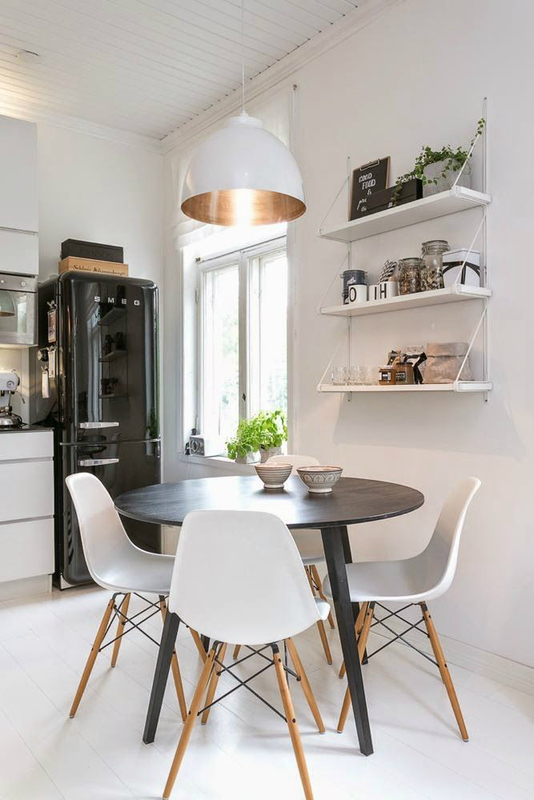 It is amazing just how you can combine the two basic and simple colors to instantly create interior decors that are both exquisite and dramatic. 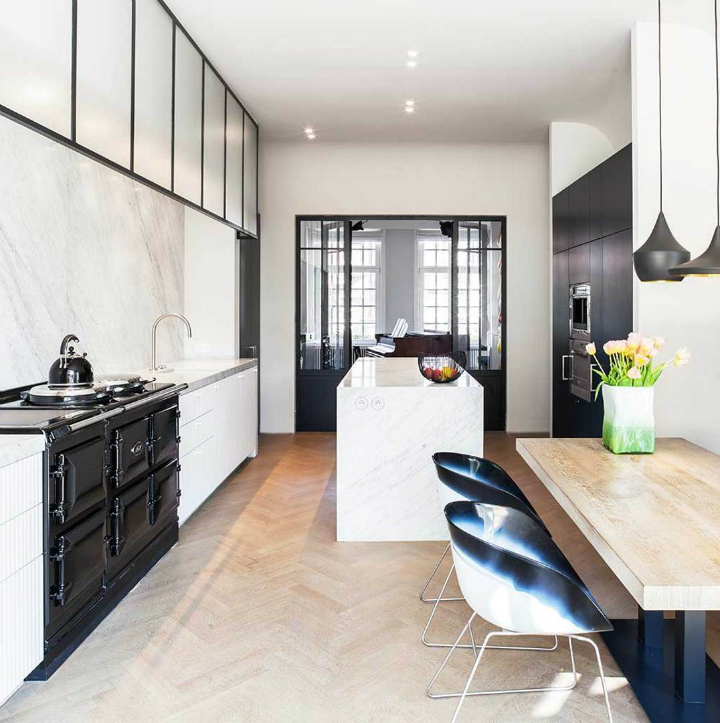 Black and white, or no color and all colors, are two colors that when cleverly patterned, can bring forth a bold visual statement in any design that meets your style and preferences. 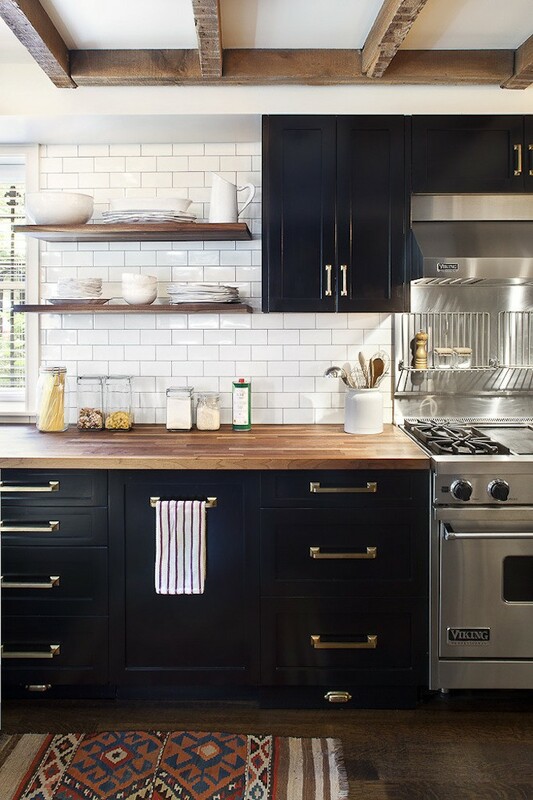 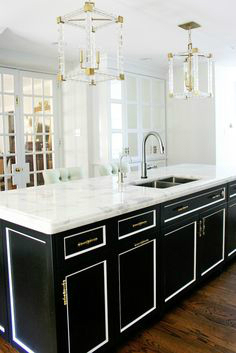 A black and white kitchen décor is a classic style that never goes out of date, making it the ideal choice for people who are not too enthusiastic about changing the appearance of their kitchens every year or two.A black and white kitchen will always be relevant in visual appeal and tone. I should however point out that coming up with an impressive and picture-perfect decoration using only black and white colors is not as easy as splashing hues of different colors together and hoping for the best. 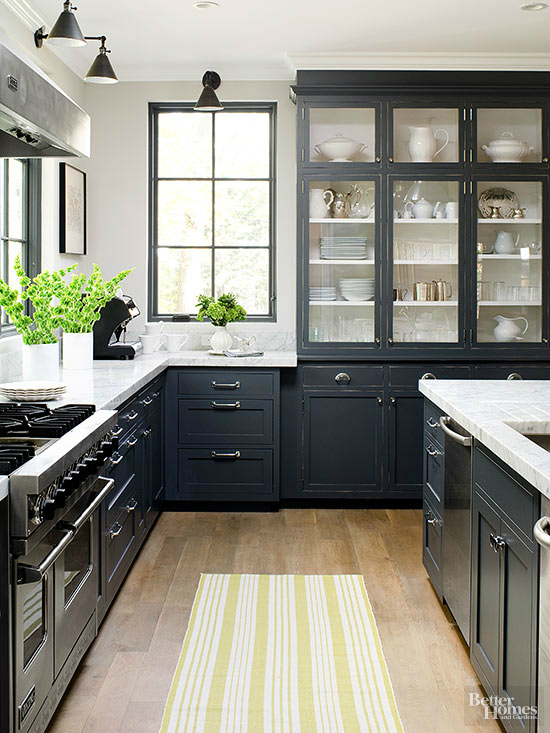 A cleverly arranged color pattern can bring a glamorous vintage design, a minimal traditional appearance, or a gorgeous and sophisticated monochromatic makeover—it all depends on HOW you do it. 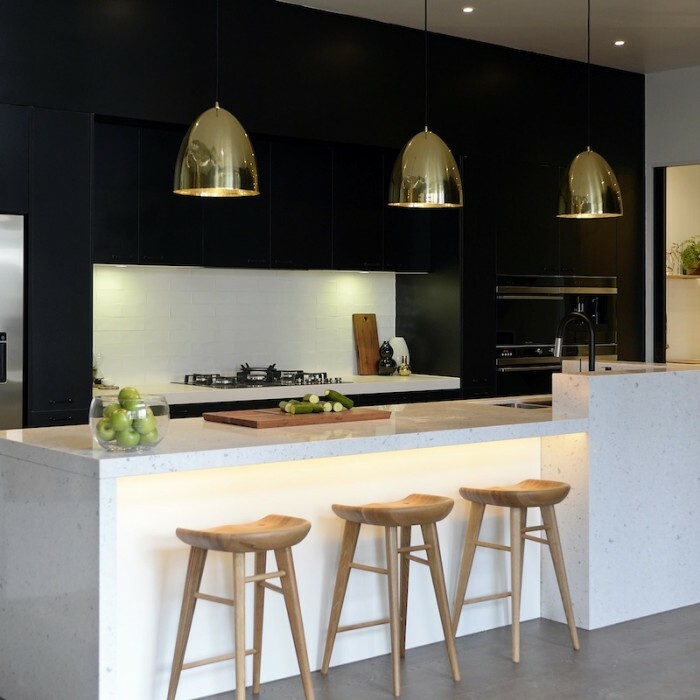 A modern kitchen is a lot more than a place to cook and serve food; as the popularity of living spaces in an open kitchen design increases, the kitchen is being transformed into a social space and an extension of the living area where the family meets, and friends are hosted. 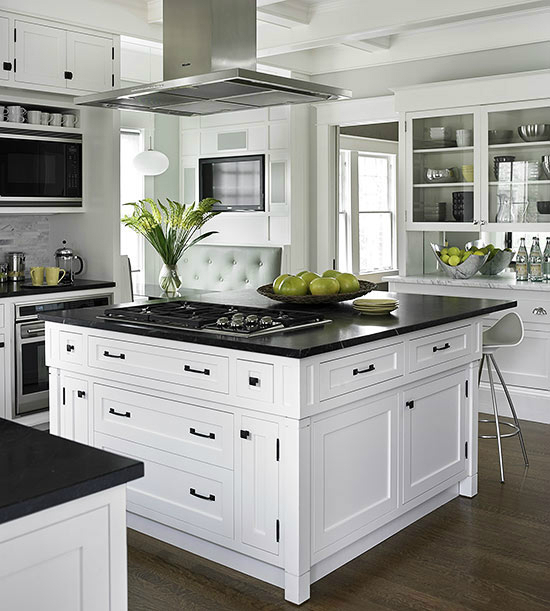 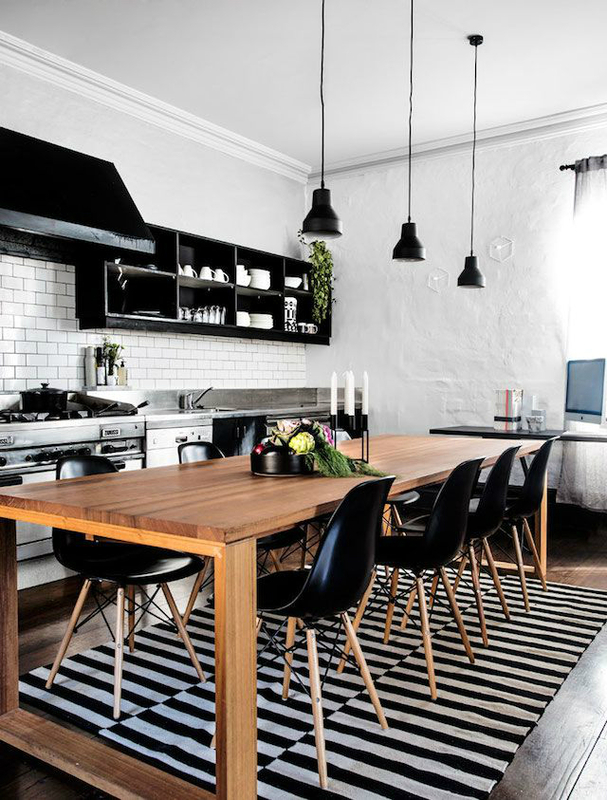 A versatile blend of black and white is the perfect décor design to go with to make the kitchen stand out while maintaining a seamless transition of color from a vibrant living room to a monochromatic kitchen space. 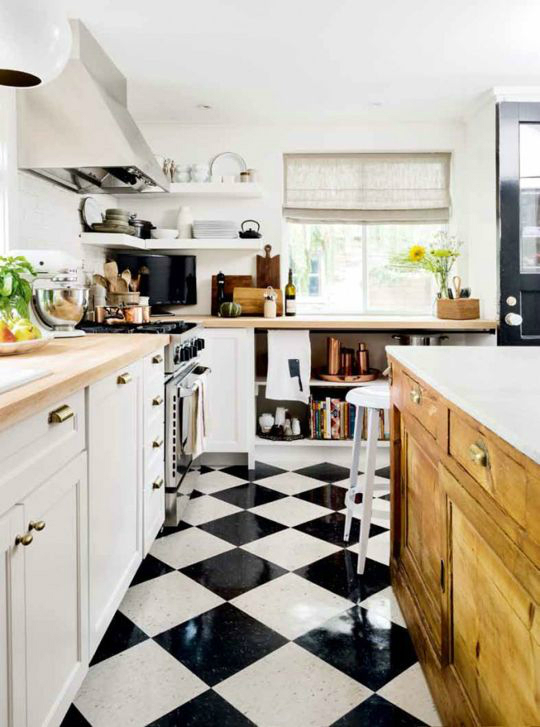 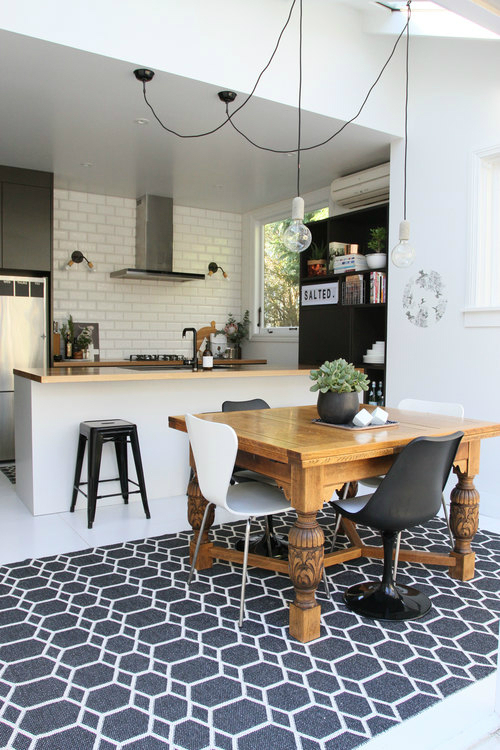 The best thing about black and white is that you can design your kitchen to blend with any style and theme of the living room or the rest of the house. 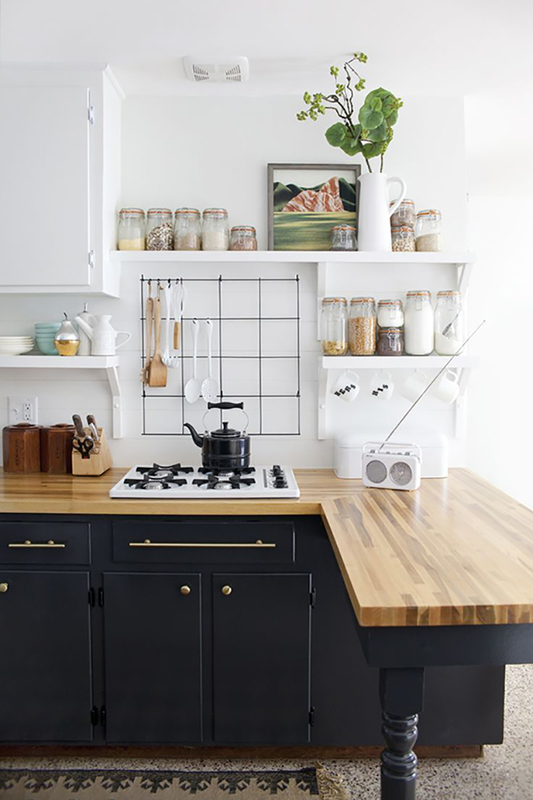 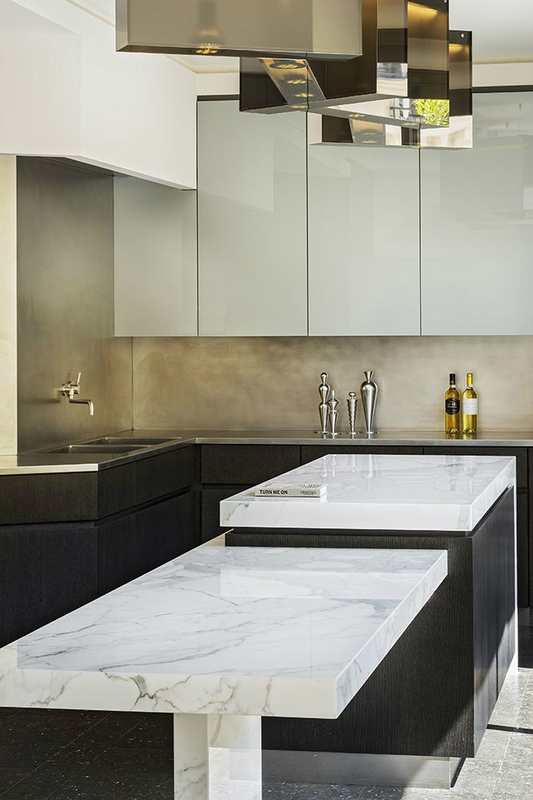 A minimal and contemporary kitchen would look stunning in black and white whether your living space is vintage and traditional or vibrant and transitional. 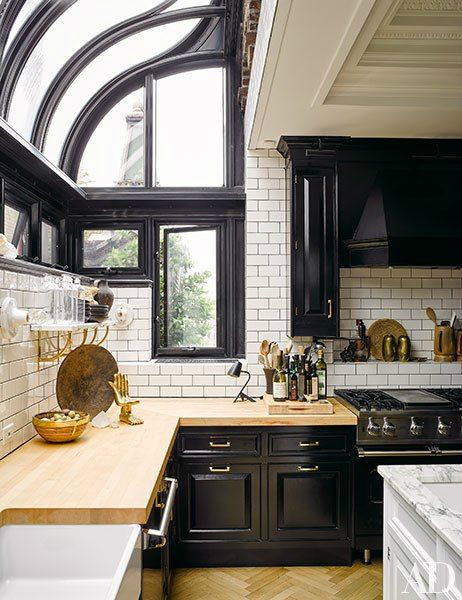 Just because the kitchen décor uses black and white colors does not mean you should stick to the absolute whites and darkest blacks. 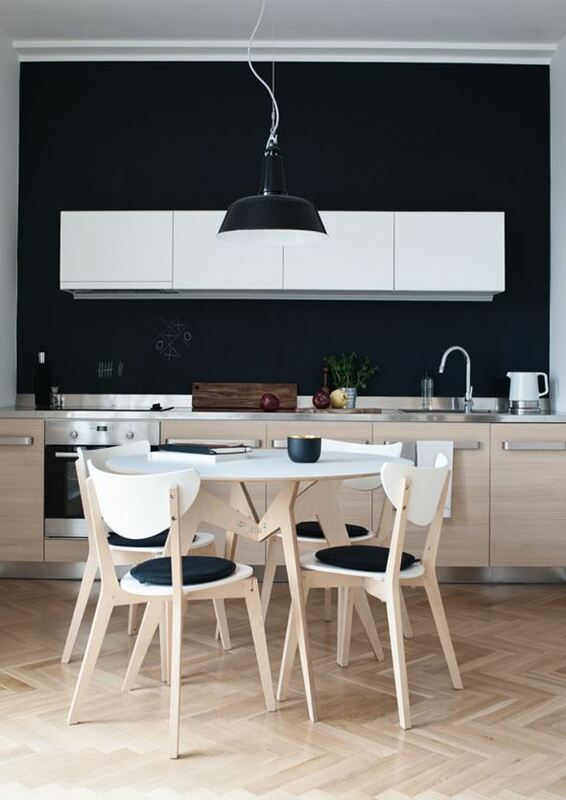 This color scheme allows you to alter the color scheme by changing the value of black, adding hue, and using different shades of black to get the perfect blend. 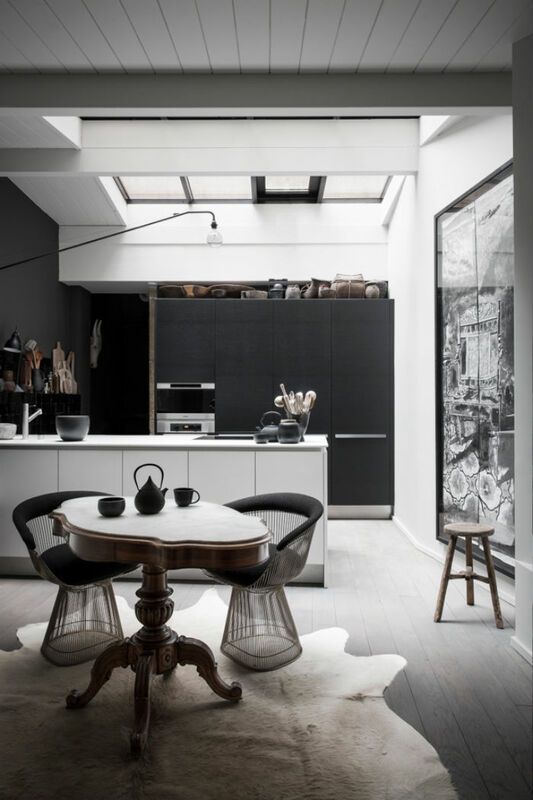 For instance, in your theme, you can replace white with creamy whites and strong greys with the black to strike a pristine white to fashion a novel theme. 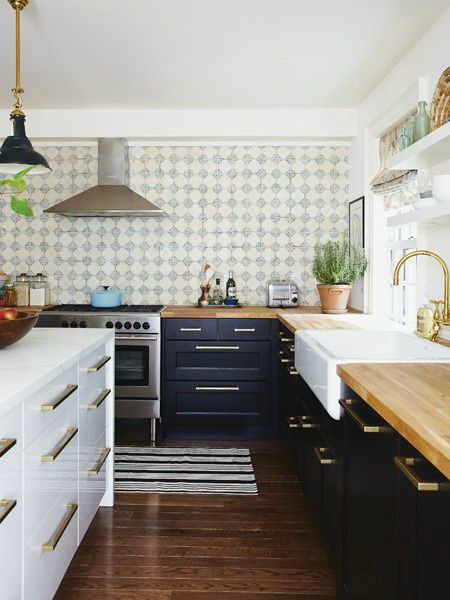 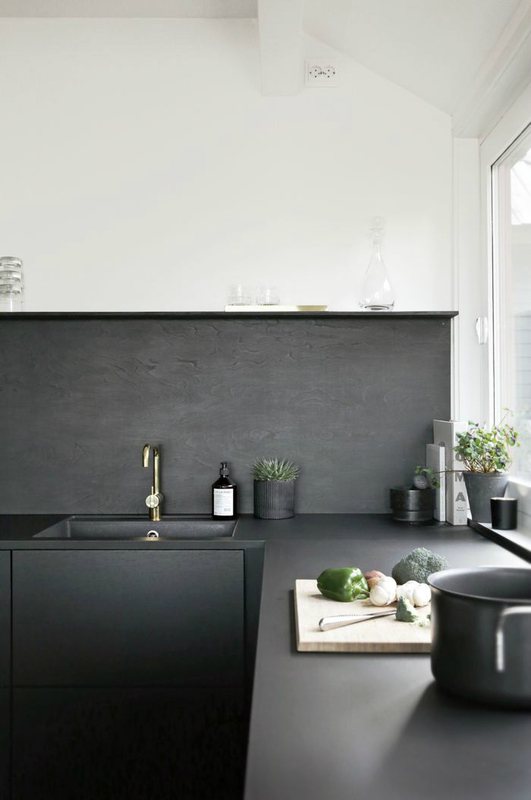 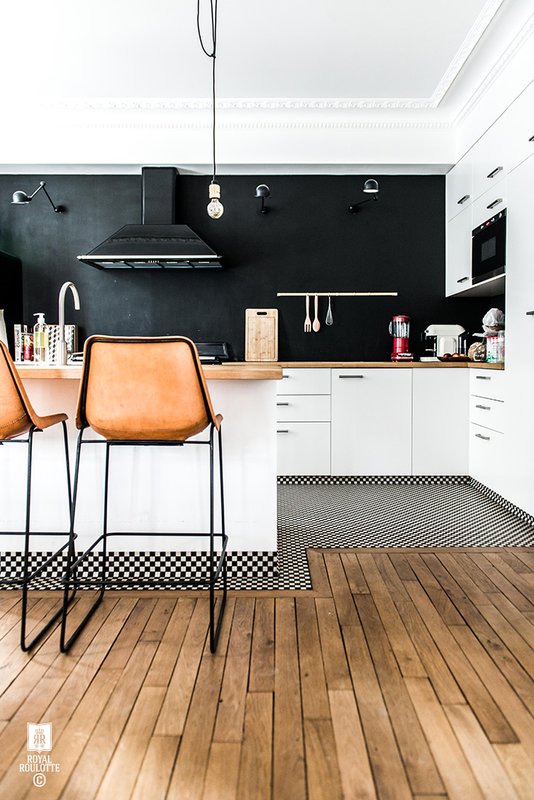 While you will still stick to the overall black and white color theme, this color combination offers the flexibility to get creative with balance and elegance as well as the liberty to incorporate black and white tones that best match your kitchen size and type. 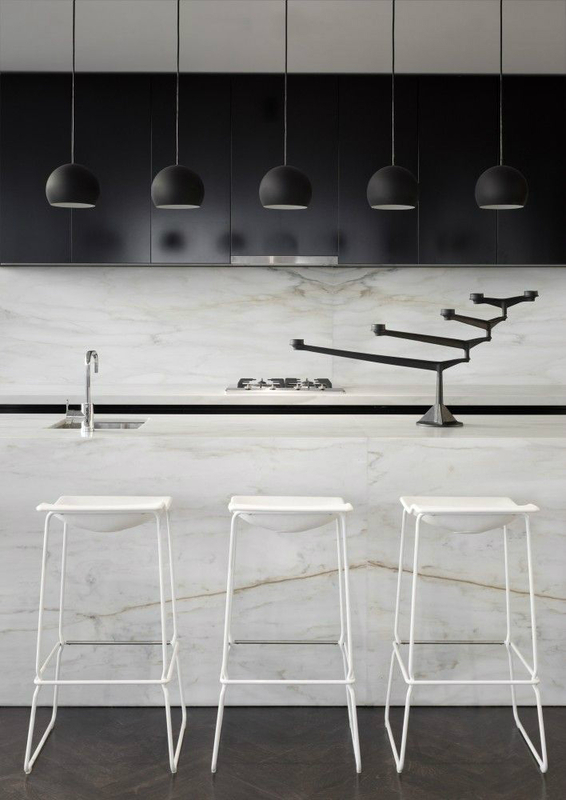 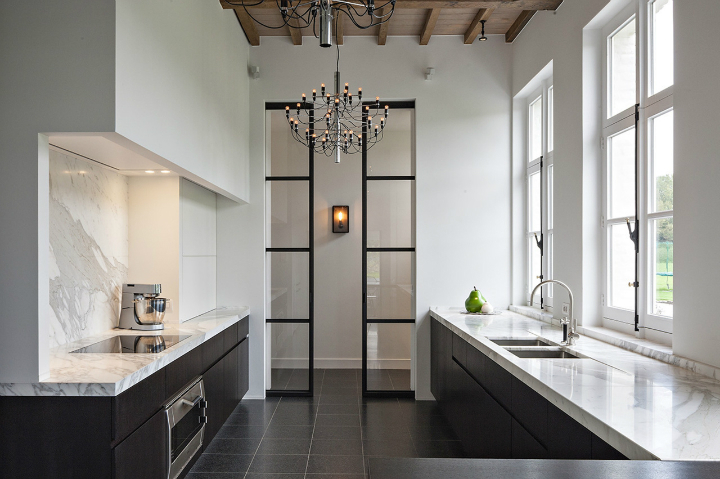 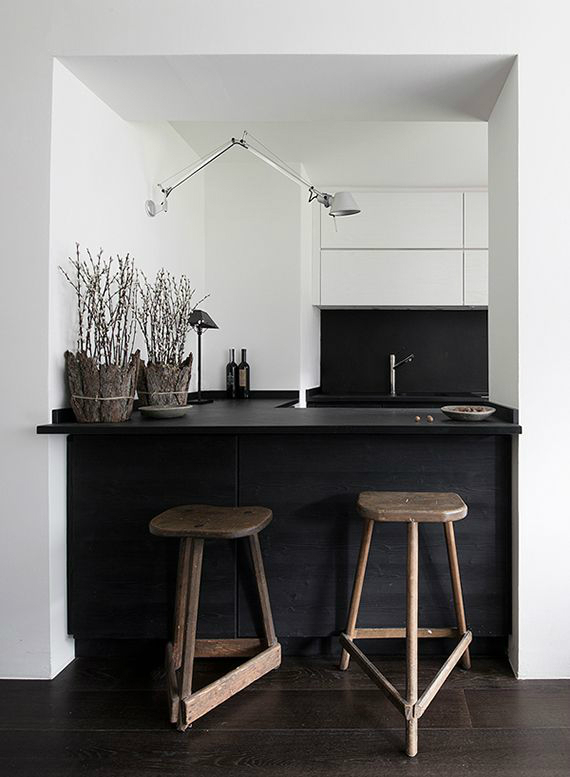 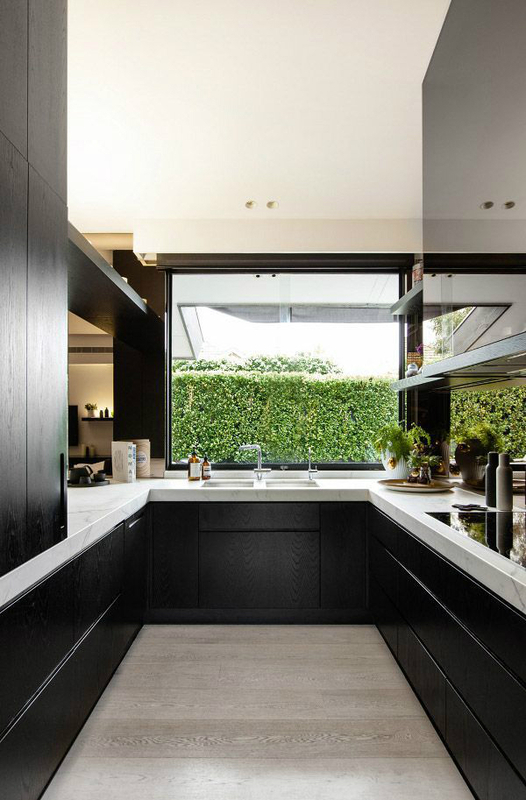 Black and white kitchen by Studio You Me. 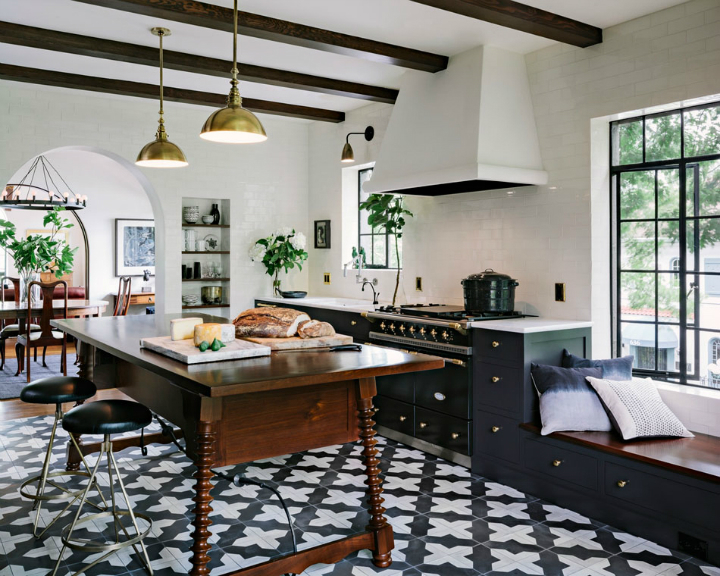 Alhambra Kitchen by Jessica Helgerson. 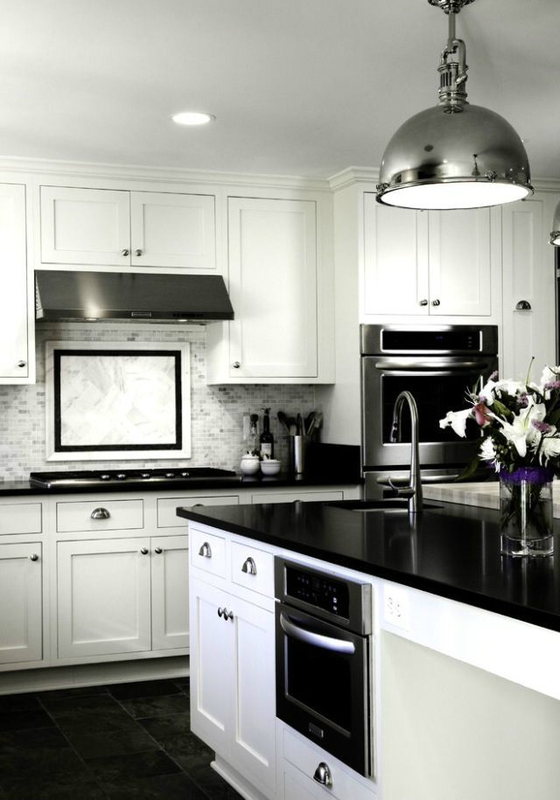 This project was a kitchen remodel in one of our favorite buildings in town… the Alhambra Condominiums. 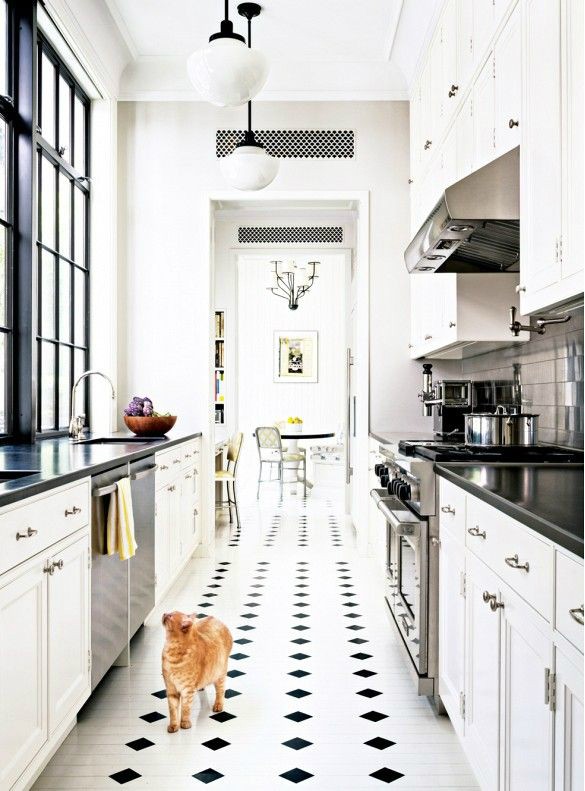 Built in 1926, the building was designed by architect Otis Josselyn Fitch. 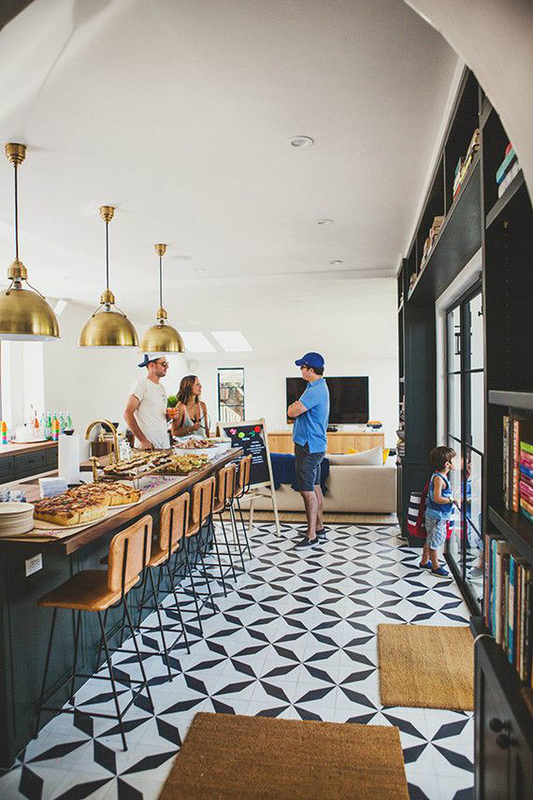 It is an unusual building in that it is Mediterranean in style, but built entirely of board-formed concrete, which is left unadorned, with industrial steel windows. 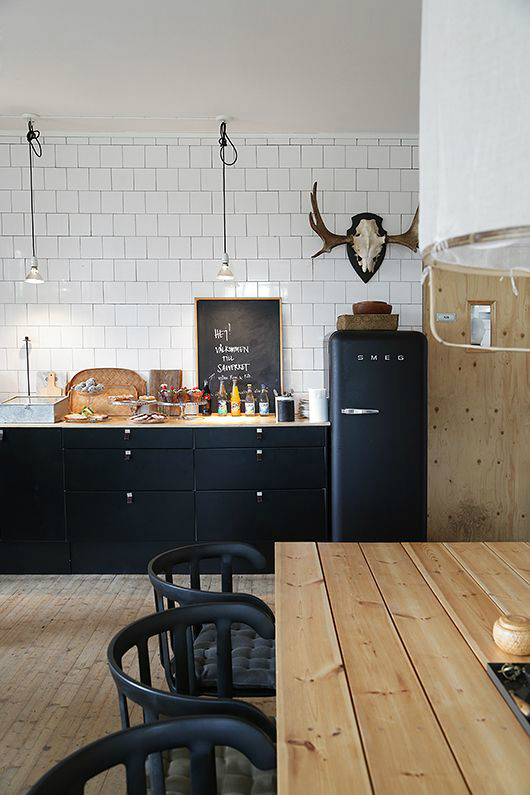 end of the room, and a television hides behind cabinet doors. 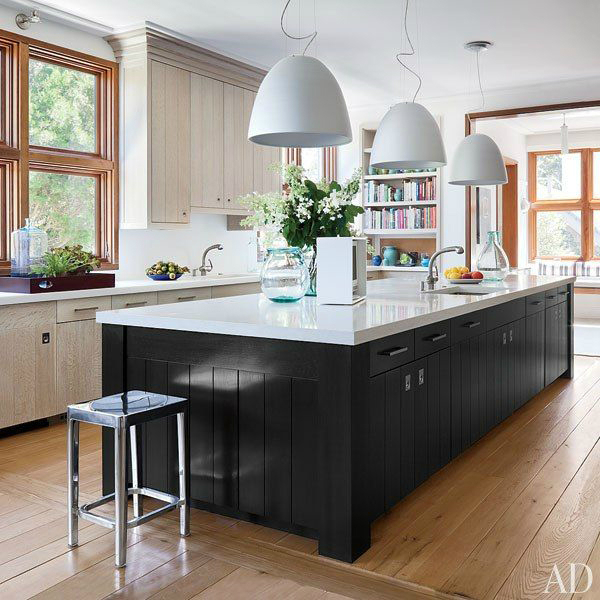 We designed the island in a style reminiscent of a traditional spanish table, but made it higher for counter use, and added storage and seating. 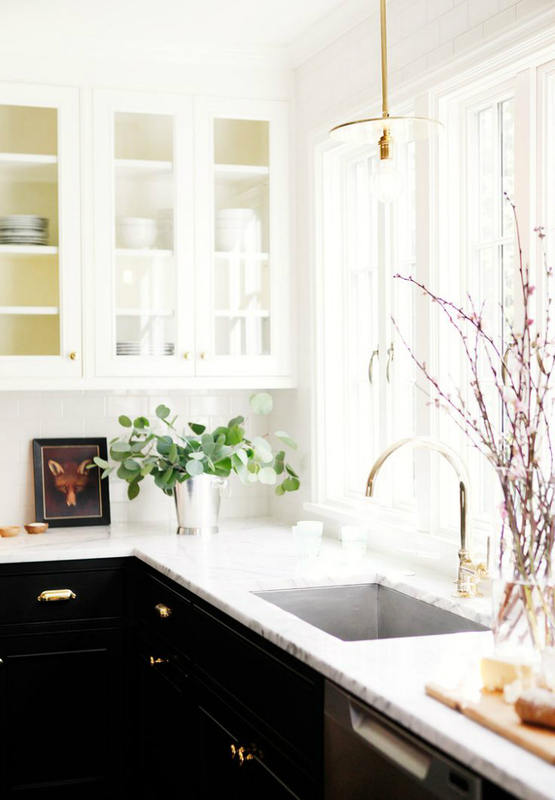 When we were first meeting with the client she walked us through the whole house, and when we complemented her on a beautiful glass-front cabinet in the bedroom she said she did love it, but had never found quite the right use for it. 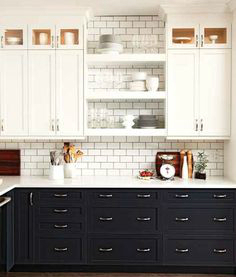 We suggested integrating it into the new kitchen, and it now lightens and adds interest to a long wall of storage.